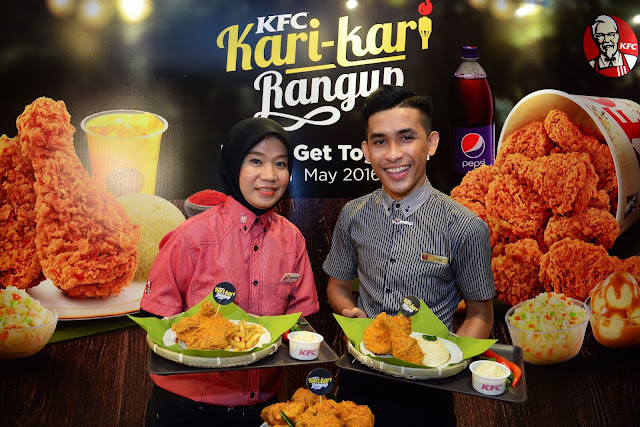 Crunchy spiciness may be the next buzz word as KFC Malaysia presents the new KFC Kari-kari Rangup this Ramadan season. Coated in an array of local spices and curry flavours, KFC Kari-kari Rangup invites conversation with its tantalizing taste and is perfectly paired with KFC’s signature side dishes. Launched with the tagline ‘Penuh rasa, penuh kesyukuran’, gatherings with family and friends during this holy month will be full of flavour and fervor when joined by a serving of KFC Kari-kari Rangup. “Ramadan is one of the seasons we look forward to each year here at KFC Malaysia. It is an opportunity for us to literally bring something new to the table, and share in the happy memories that are created every time our customers buka puasa with friends, colleagues and family. At KFC, we constantly look for ways to elevate the goodness of our chicken and KFC Kari-kari Rangup is no exception. Flavourful, crunchy and spicy all at once, we believe this is an ideal meal to accompany you this Ramadan,” said Angelina Villanueva, Senior General Manager, KFC Marketing. “The month of Ramadan is a time to strengthen ties with family and loved ones, and what better way to do that than by the sharing of good food while breaking fast. The unique flavours of KFC’s Kari-kari Rangup along with its signature side dishes of Colonel Rice and coleslaw is the perfect combination, filling you with gratitude in each bite, particularly after a long day of fasting,” said Sharifah Musainah, General Manager, QSR Brands (M) Holdings Sdn Bhd. KFC Kari-kari Rangup is available as a combo meal as well as bucket combos. At only RM12.90* for a combo meal, customers may opt for either rice or fries along with 2 pieces of KFC Kari-kari Rangup, regular coleslaw and a fruity mango peach Sjora drink. 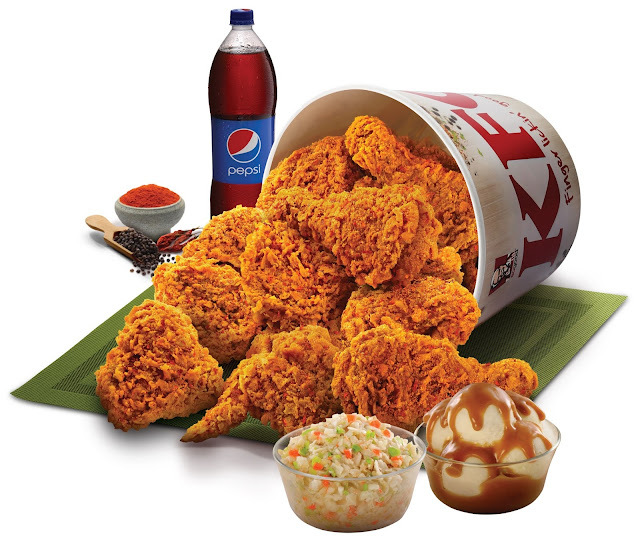 Starting at a value of only RM46.90*, customers can dive into the bucket combos offering 9 or 15 pieces of KFC’s Kari-kari Rangup, a large coleslaw, large mashed potatoes and a 1.5 litre Pepsi. *All selling prices and combo availability may vary by location.